Just another book about Christianity? Maybe, and then again maybe not. Many people in today's world view Christianity as an option or alternative to any of the other dominant religions. It consists of a God, a key character (Jesus), and a rulebook (the Bible). Right? Maybe not. 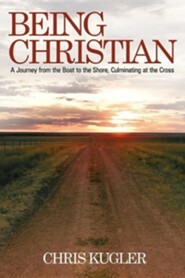 "Being Christian" will critically walk you through what it means to meet and engage the God of Jesus. It will then critically assess what the overarching theme of the Bible is, and exactly what kind of life the Bible is urging us to live. This book turns the volume up on the true message of the Bible, and some readers will be delighted and others disturbed. You will see that the Bible is not "basic instructions before leaving Earth," but it is a deeply profound, brilliant, provocative, engaging, and ultimately life-giving book. 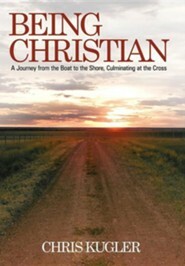 By the end, you will be challenged by what it means to "be Christian." 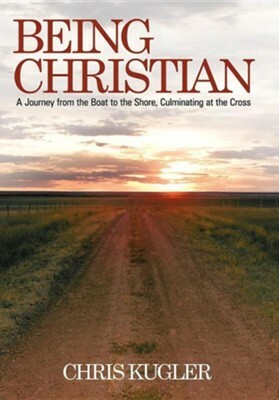 I'm the author/artist and I want to review Being Christian: A Journey from the Boat to the Shore, Culminating at the Cross.